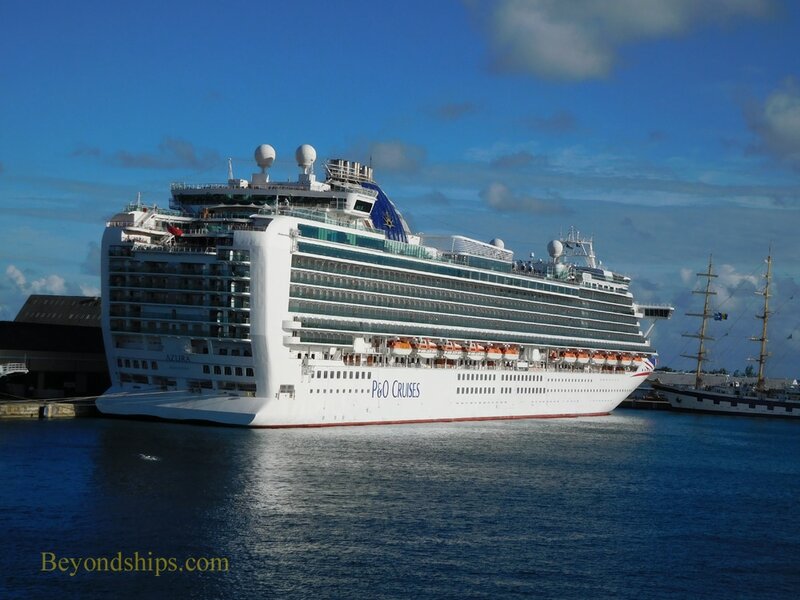 When the weather turns cold at home, Azura follows the sun and makes her way westward. 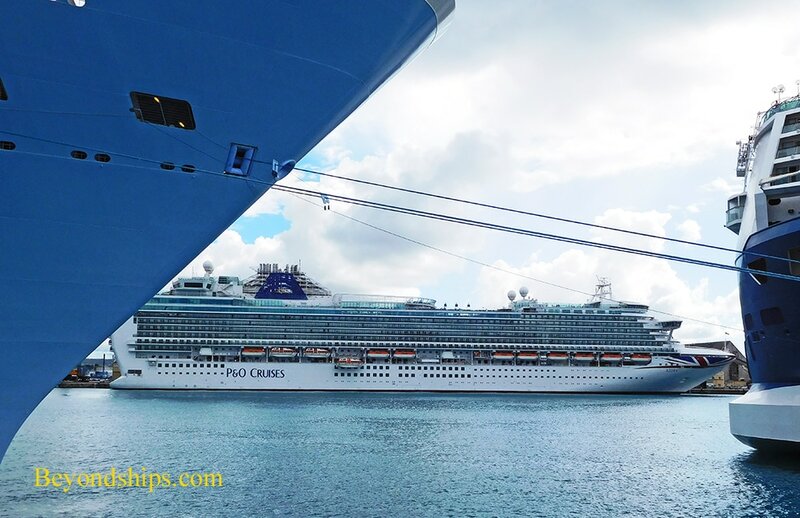 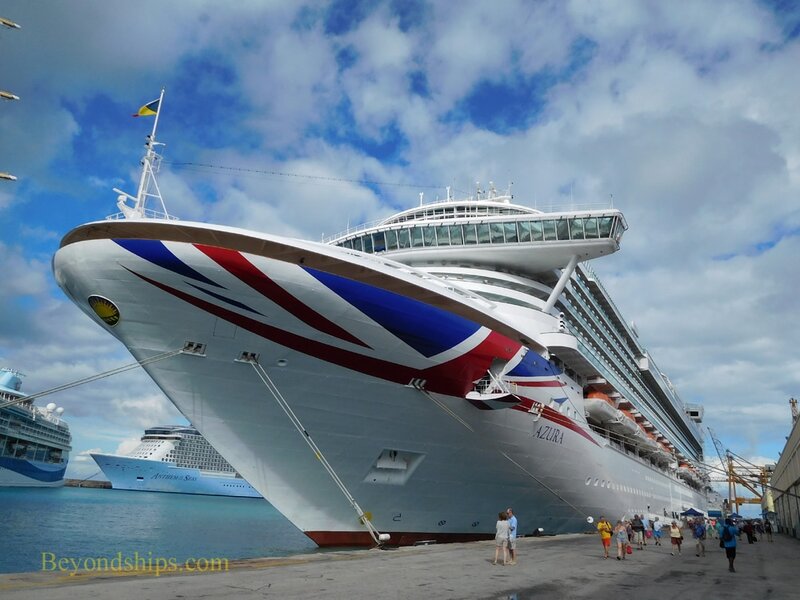 In this photo feature, we show her in various Caribbean ports. 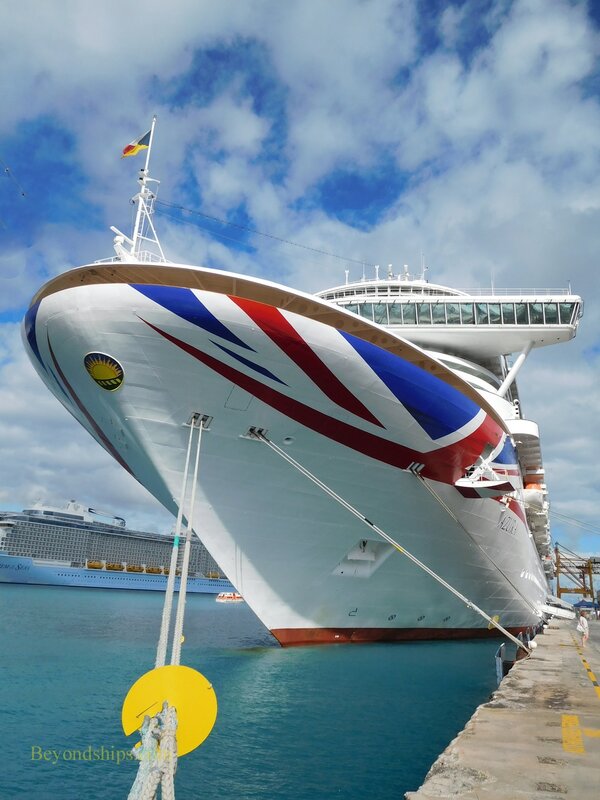 Azura's winter base of operations is Barbados. 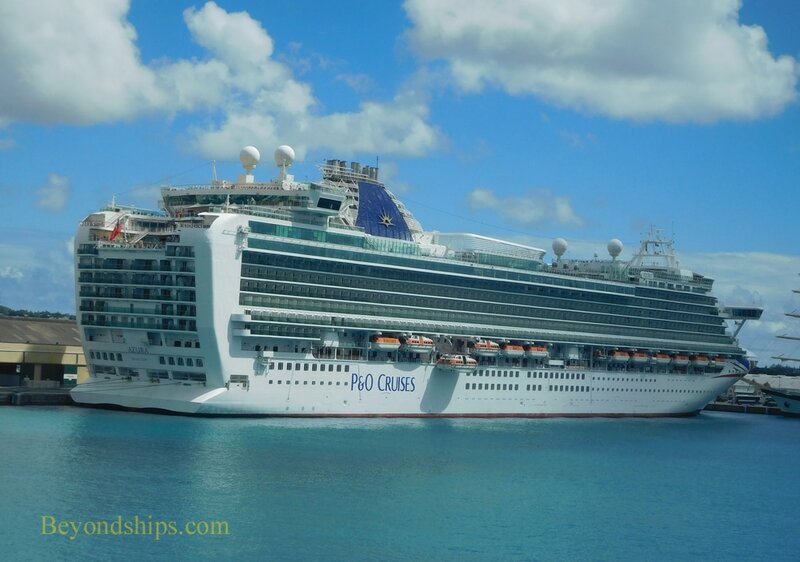 Here, we see her preparing for a Caribbean cruise. 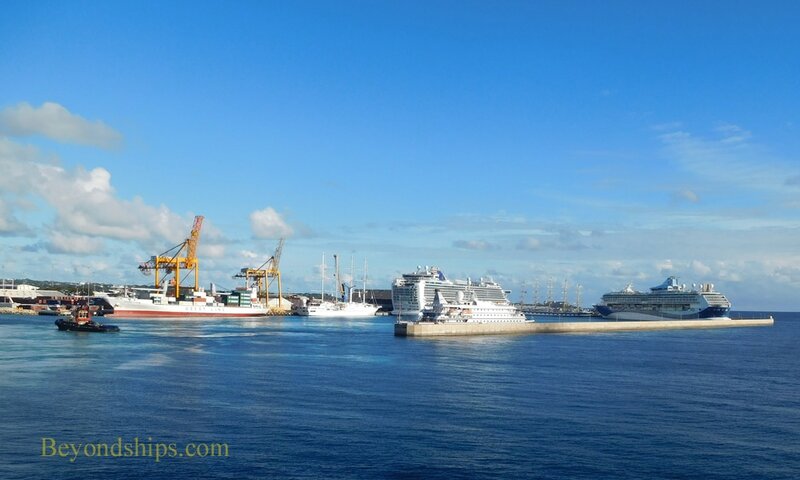 Barbados can be a busy port and with Azura are Wind Star, Sea Dream I; TUI Discovery; and Royal Clipper (left). 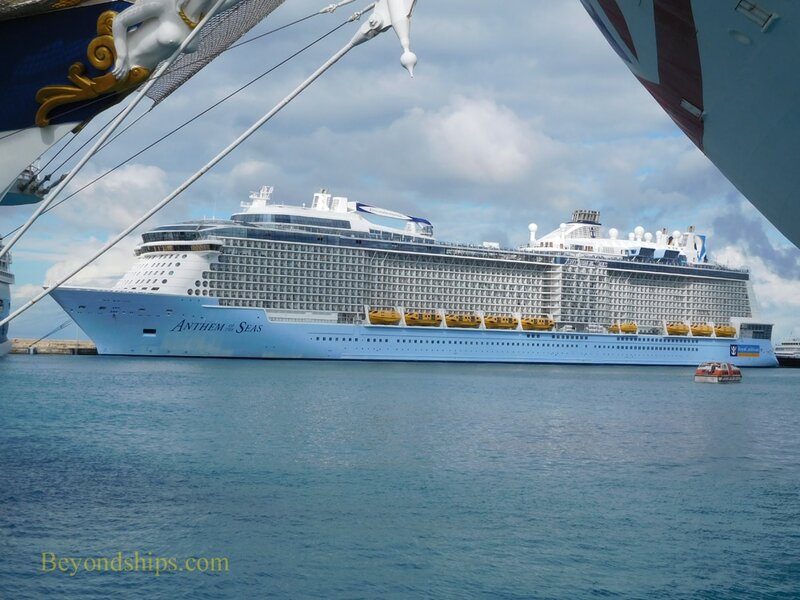 Earlier, Anthem of the Seas was also in port (below).